We received confirmation of an order for an 8-station sculling/sweep tank during the 2nd week in March and will be initiating a shipment to the UK on May 10th. We are pleased to have received this order and look forward to installing the tank later in the year at the Cambridge University’s Downing College Boathouse on the River Cam in Cambridge, UK. All our components are modular and as such a two-pool sweep and sculling indoor tank can fit in 40 foot container. This will be the 4th tank project in the UK since the Tyne United Tank in 2011 followed the Durham University Tank later that year and the most recent tank job in 2015, at the Molesey Boat Club Tank. We have also done two other international tanks: One at Ridley College in Canada in 2012 and one in S. Korea in 2013. We are fielding inquires from all over the World and look forward to other intentional projects going forward. For more information on our complete tank portfolio. 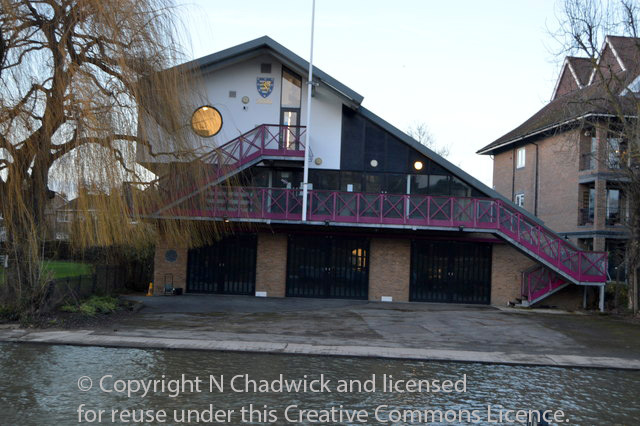 Renovation of the Downing Boat Club began on June 26 in preparation of the Cambridge Rowing Tank at Downing College Boat Club later in the year.